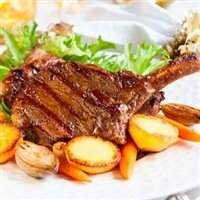 Any 5 Star restaurant would be proud to put these French Veal Chops on their menu. Extra thick, butter soft and juicy. Season and grill, bake or broil for a wonderful dining experience.